How Do You Study Consciousness Without Getting Lost In The Study Of Concepts? 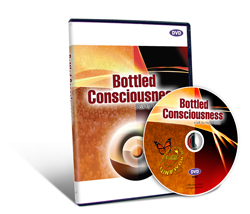 The product of Avatar is a source being, an awake source being who has experientially realized that he or she is not a body, is not bottled up consciousness, is not thoughts, memories or imaginations floating in the bottle. An awake, source being is a self-determining, non-material spirit; compassionate, positive, and responsible. Recorded live at The 2006 Avatar Master Course in Orlando, Florida. "Now, since consciousness is all around you, looking inward has nothing to do with the inside of your head. Looking inward describes a specialized focus of awareness rather than a direction. I mean, you can look through a pane of glass or you can adjust your focus and look at the glass. And you can look through consciousness, or you can adjust your focus and look at consciousness. "So looking inward is a special kind of focusing. You’re not trying to see your skull from the inside. And the fact is you’re not going to learn how to control or change or structure your life without focusing on your own consciousness."